Forex Brokers in Canada would Never do This! InstaForex is Giving Away a Sports Car! At InstaForex [read review] ,Canadian trading customers have access to more than a sensational variety of trading tools and top of the line information technology, they also have access to software produced by leading programmers, and the ability to drive away with some of the world’s most beautifully crafted automobiles as a result of their trading. Here is what is in store for you at InstaForex. Each client of InstaForex [read review] who signs up for a trading account, and deposits a minimum of $1,500 into their account is eligible to enter the drawing for an elite, premium class Porsche Cayman! The campaign began on April 22, 2013 and will run through September 19, 2015 – giving you plenty of time to become a member and get entered on the official contest page. Are you more of a Sports Lotus type of driver? 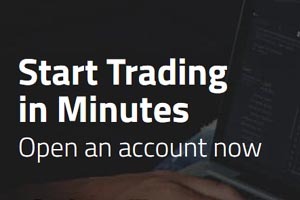 Then you are in luck, as InstaForex [read review] is running a Sports Lotus is Your Trade Bonus campaign that began in 2012, and runs through June 27, 2014, which means Canadian online trading users still have plenty of time to enter this sleek and sophisticated vehicle. All you have to do to drive away in the Lotus Evora is register for an account and deposit at least $1,000 into your account for trading purposes. If you are already a club member at InstaForex, your minimum deposit amount to quality is only $500. Forex trading is a brilliant way to get on top of all the positive thing the market has to offer, including exquisite InstaForex [read review] promotions that involve winning an amazing Porche Cayman or Lotus Evora!